We look forward to hanging out with our Diamonds In Development (pre-K - 3rd graders), Princess GEMs (4th & 5th graders) and Parents. ​Welcome to Diamond In The Rough (DITR), an award winning, faith-based, non-denominational, youth development and leadership program dedicated to "Transforming the world . . . One child, one family, one community at a time". DITR offers a variety of preventative programs and enrichment activities designed to build self-esteem, character, and leadership among girls of all ages. ​Join us monthly for our CROWNS Cafe' where we offer resources and support on College & Career Planning. These events are FREE and open to members and parents. Click here for more details. Are you looking for tools to incorporate into your small group or mentoring program? Learn more about The Priceless Project Girl's Curriculum and Facilitator Certification training. Click here for more information. Check out our Brilliant Bulletin to stay abreast of information, events, scholarships and opportunities from various organizations benefiting the community-at-large. Have you purchased your copy of Priceless: A Teen Girl's Guide to Uncovering the Beauty, Boldness and Brilliance within? If not, order your copy today or order one for a friend. 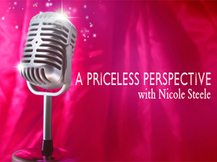 Tune into our Priceless Perspective radio show geared towards middle and high school girls and their families. For a complete list of archived shows as well as details on the next broadcast. Are you a current or former parent or family member of a DITR Gem? Are you looking for additional ways to provide support and opportunities to help your Gem shine? Well join our Parent Association.